Hired by agency Seed Creativity, I was trusted to work directly with one of their long standing clients; George’s Hairdressing. 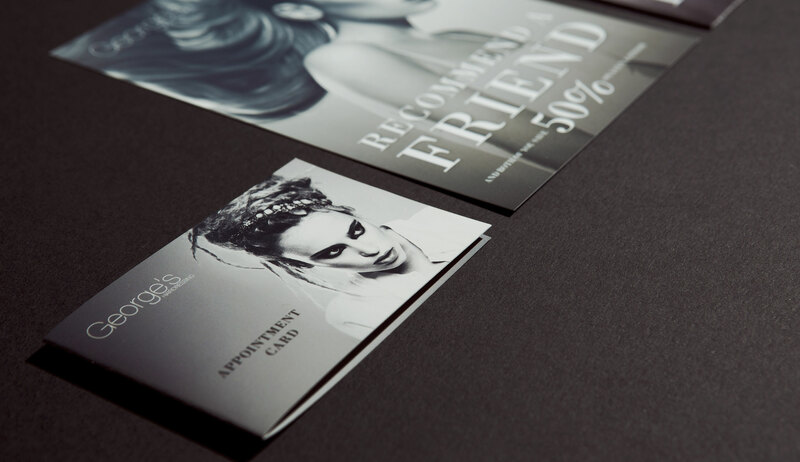 I put together a suite of print items including price lists, appointment cards and vouchers. They were all received brilliantly by the customers and George’s themselves, enabling the promotion of their services in and around Leicestershire.